Mississauga Square is a condo development project funded by Plaza Corp, situated at Hurontario St. in Mississauga, Canada. This project will be different from any other project undertaken in and around the area, as this project will enable the residents to be a part of an exciting community in Mississauga. The architectural department is under Turner Fisher, and the interior design is to be done by Bryton Patton & Associates. 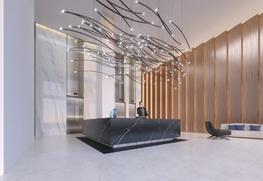 This will make this condo project one of the best, and most sophisticated among the rest. The residents can expect high-end finishes, along with glamourous kitchens. Intricate details have been noted, and every aspect of this project will be the same as it was planned, with nothing being lost during the execution of those plans. The parking and locker price is to be included, so that possible customers, and investors have an easy way through the billing process. 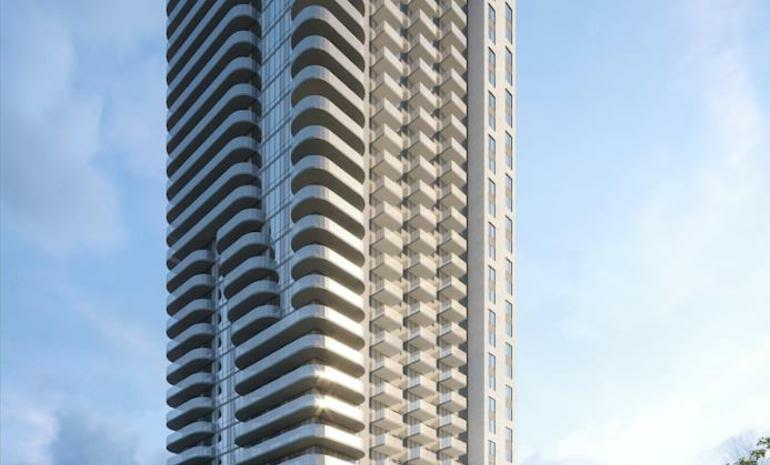 Mississauga Square will be a 36 storey project which will house 402 suites in total. Although, most of the new condo development projects throughout Canada offer 3 bed room suites, which is not the case with this project. 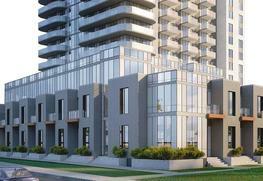 Plaza Corp. has stated that this project will offer 1 and 2 bedroom suites only. This means that the number of suites in the same area can be increased. This means that there will be more suites which will increase the number of new residents coming to this area. The 1BHK suites have an average floor area of 550 sq. ft. and have an average selling price of $ 328,000. The 2 BHK suites have an average selling price of $ 500,000, and have an average floor area of 890 sq. ft. The average price per sq. ft. is $ 597. The project is still in its infancy, and will be finished by the 3rd quarter of 2020. The residents of Mississauga Square will have a lot of options at their disposal when it comes to what to do in their free time. There will be an outdoor BBQ terrace, a Fitness Centre/gymnasium, equipped with all the latest equipment to keep everyone from getting bored. Other amenities will include guest suites, outdoor lounge decks, Meeting rooms, a separate space to organize parties, and an outdoor pool. The Mississauga Square and the Hurontario LRT would be well within the walking limits of every one of the Squares’ residents. The Cooksville GO station, as well as the Erindale Go Station are very close to the condo, and will be fairly easy for the residents to commute to. There are also three highways – the 401,403, and the 407, which will make it easier to commute via personal transit. Downtown Mississauga offers a lot more when it comes to entertainment. A living arts Centre, an art gallery, the opera, and the Mississauga celebration park are all there for the residents to exploit. Plaza Corp. was founded back in 1982, and throughout the years they have been a beacon of excellence, and quality. Close to highways and entertainment centers.